Pacific Northwest Ballet principal dancer Carrie Imler in Balanchine's "Apollo"
My brain knows that ballet dancers have a short shelf life. But that doesn’t stop my heart from cracking a tiny bit every time I hear about an impending retirement. This week, Pacific Northwest Ballet announced a double whammy: two longtime principal dancers, Batkhurel Bold and Carrie Imler, will step down next June. PNB principal dancers Batkhurel Bold and Elizabeth Murphy in "Rassemblement"
Bold, a native of Ulan Bator, Mongolia, has been in Seattle since 1996. You may have seen him in Peter Boal’s restaging of “Giselle,” in “After the Rain” pas de deux by Christopher Wheeldon, or, my personal favorite, as a menacing Tybalt in Jean Christophe Maillot’s “Romeo et Juliette.” Bold is big and strong, technically fierce and a great partner. 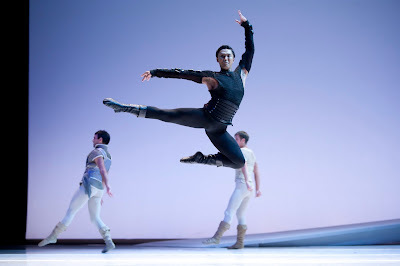 Batkhurel Bold as Tybalt in Maillot's "Romeo et Juliette"
I’ve been hanging around the PNB studios for years now, but I haven’t ever said more than hello to Bold. Frankly, he’s always seemed a little menacing in real life, too. But over the past year, this strong dancer has had a smile on his face. He and his frequent partner, Lesley Rausch, were married over the summer. I wish him, and them, the best. Bold’s departure will leave a hole; Carrie Imler’s retirement will leave a chasm. Really, there is nobody like her at PNB. Imler came to the company as an apprentice in 1995. Former PNB co-artistic director Francia Russell once told me that Imler has it all: musicality, technical ability, and discipline. I would add strength and ferocity to that list. 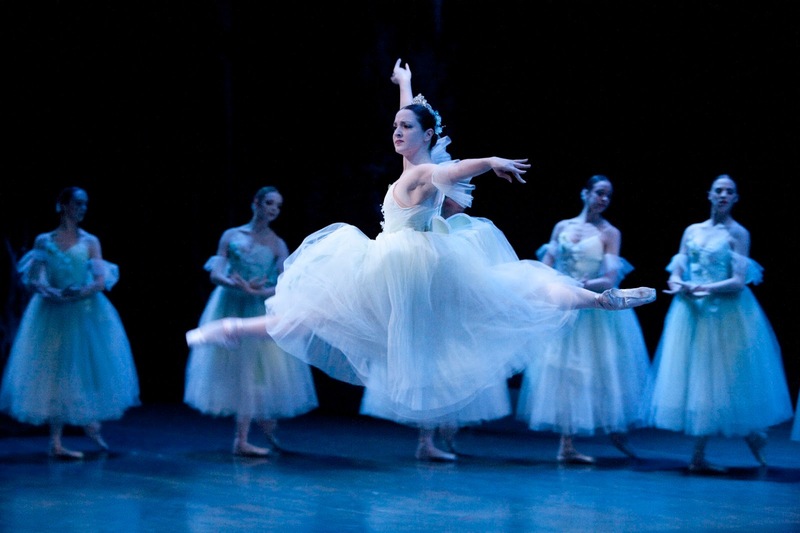 Carrie Imler as Myrtha in "Giselle"
Carrie Imler is fearless both physically and dramatically. Whether she and her close friend Jonathan Porretta are hamming it up in Twyla Tharp’s “Nine Sinatra Songs,” or she’s taking a more commanding turn as Myrtha in “Giselle,” Imler gives herself over to the role. That was never more clear than last season, when PNB presented an all-William Forsythe program. I attended an open rehearsal at McCaw Hall. Imler and Porretta were among four or five couples called on to demonstrate particular choreography for the audience. Time and again, Forsythe pointed them out as exemplary role models for their fellow company members. 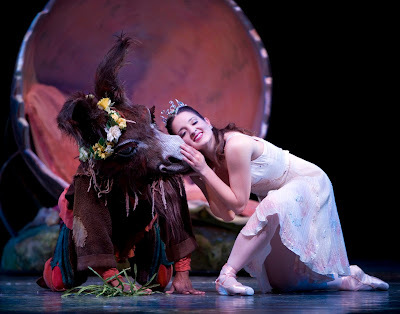 Carrie Imler as Titania in Balanchine's "A Midsummer Night's Dream"
And if you haven't seen Carrie Imler whip off a chain of fouette turns, prepare to be dazzled. Carrie Imler is not willowy or wispy, and I think that’s why she’s a favorite of so many women. Imler has shown us that you don’t have to be fragile to be beautiful, that a woman can execute thrilling jumps and spins, and, most of all, that when you give yourself completely to your art form, you can create magic onstage. Just because your dream career has a short life doesn’t mean you shouldn’t pursue it. Your dreams are worth going after no matter how long they may last.